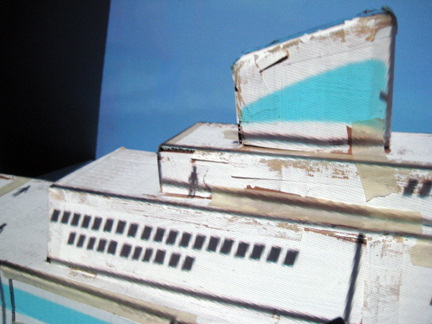 boatMovie from zannahlou on Vimeo. 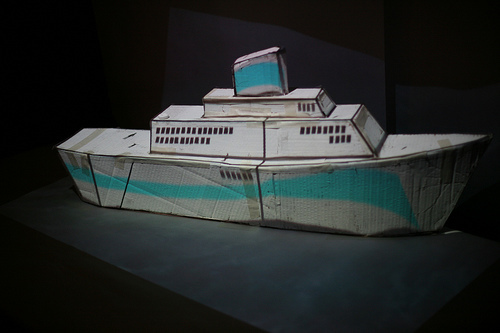 My slapdash model ship, made out of cardboard and masking tape, was set it to sail on video sea and sunk in a storm of pixels, in a rehearsal of the disaster fantasies of my coastal New England youth. 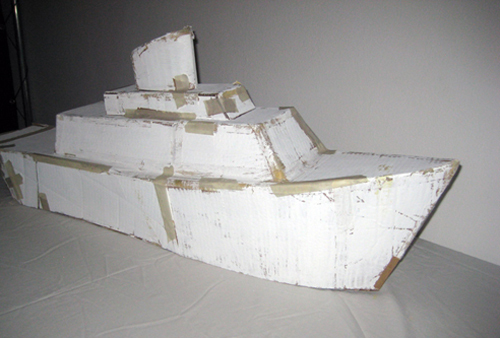 The boat was constructed from readily available household/schoolroom materials: this fantasy is rooted in my elementary school days, when poster paint and masking tape were craft-project standbys. 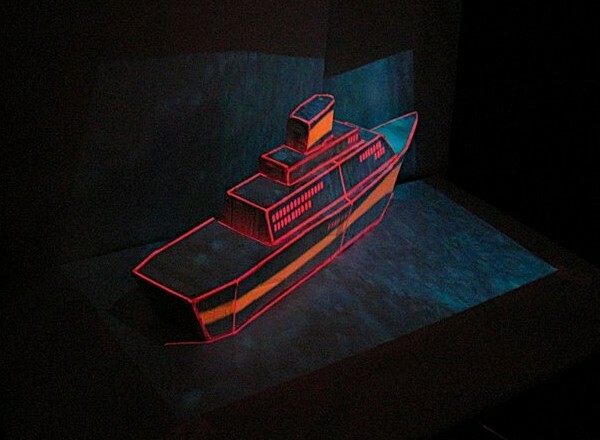 The object serves as projection surface; all details of the boat were executed in vector graphics, aligned to the object, and then integrated into the video itself. Sea footage was borrowed from popular disaster films and TV nature specials.